The feature film adaptation of The Green Hornet is a go after the departure of Stephen Chow, who was previously attached to direct, write and acted (as Kato) in the film but left due to "creative difference". To fill in that gigantic hollow he left behind is director Michael Gondry, writers Seth Rogen and Evan Goldberg, and hell, actor (and mostly singer-songwriter) Jay Chou. The latest offspring from the unstoppable Hollywood monolith called comic-to-film adaptation, Green Hornet, is set to be directed by Michel Gondry, the director of Eternal Sunshine of the Spotless Mind and Be Kind Rewind. 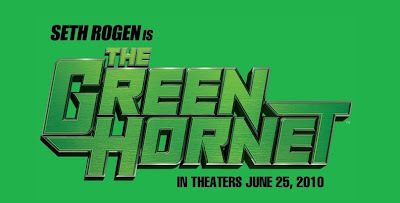 A most reassuring choice, given that Seth Rogen will be the titular role, the Green Hornet himself, a most slap-stick choice, regardless of reports that he is currently going through intensive fitness routines to transform his physiques. And no, the casting of Cameron Diaz ain't gonna help and likewise for Nicholas Cage's departure from the role of the villain. Lo and behold, Kato, in the upcoming feature film. Though this seemed more like the stuntman in Kato suit than Jay Chou himself. None too impressive, but then again if there's one thing we learnt from set pictures, that's to never assume that the final product will of similar calibre. The first instalment of X-Men are a good example of that theory. Source: mania, who in turn, sourced from spoilertv-movies, of which had since taken down the picture due to legal pressure. Zombie Of The Week: Marvel Zombies Invades Lego! Face It Tigger... You Just Hit The Jackpot!